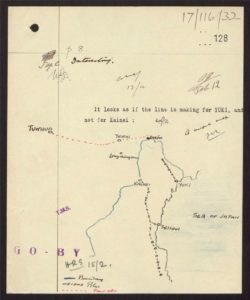 Until September 29th the Library has a trial of Foreign Office Files for Japan, 1919-1952, which is sourced from Foreign Office Files from the UK National Archives. Only the first module, Japan, 1931-1945: Japanese Imperialism and the War in the Pacific has been released at this point. As described at the site, “these papers throw light on Anglo-Japanese ties in a time of shifting alliances. Documenting Japan’s journey to modernity, the files discuss a period in which the country took on an increasingly bold imperialist agenda. Strong relations following the signing of the Treaty of Versailles were tested then ultimately destroyed, and by December 1941, Japan and the United Kingdom were on opposing sides of the Second World War. 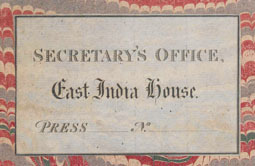 “These Foreign Office files cover British concerns over colonial-held territory in the Far East, as well as Japanese relations with China, Russia, Germany and the United States. Following surrender at the end of the Second World War, Japan was occupied by foreign forces for the first time in its history. The occupation resulted in disarmament, liberalisation and a new constitution as the country was transformed into a parliamentary democracy. Japan emerged once again as a player on the world stage. As always, your feedback will influence the Library’s decision to purchase this resource (if funds are available). Please email me at dorner@berkeley.edu with your comments.